One of my favorite features in PowerGUI 2.4 is the add-on finder in PowerGUI Script Editor. 3. Select the add-on you want and click Install. 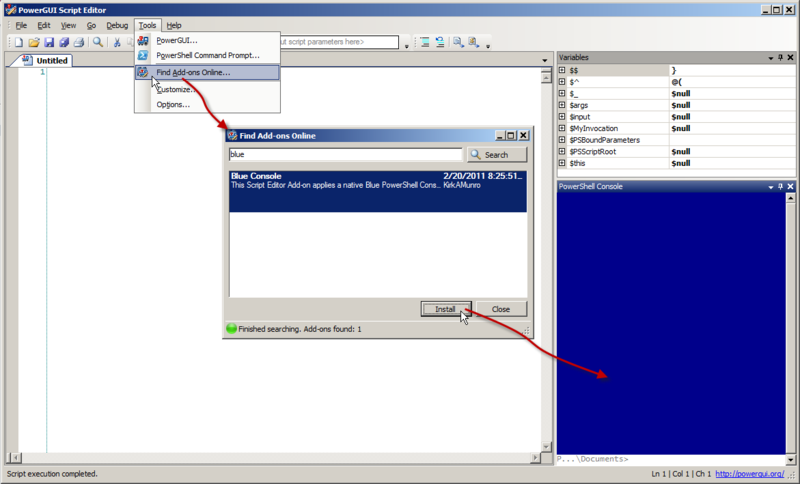 This add-on from James Brundage (from www.start-automating.com) lets you easily fine-tune the PowerShell host right in the PowerGUI Script Editor. 4. 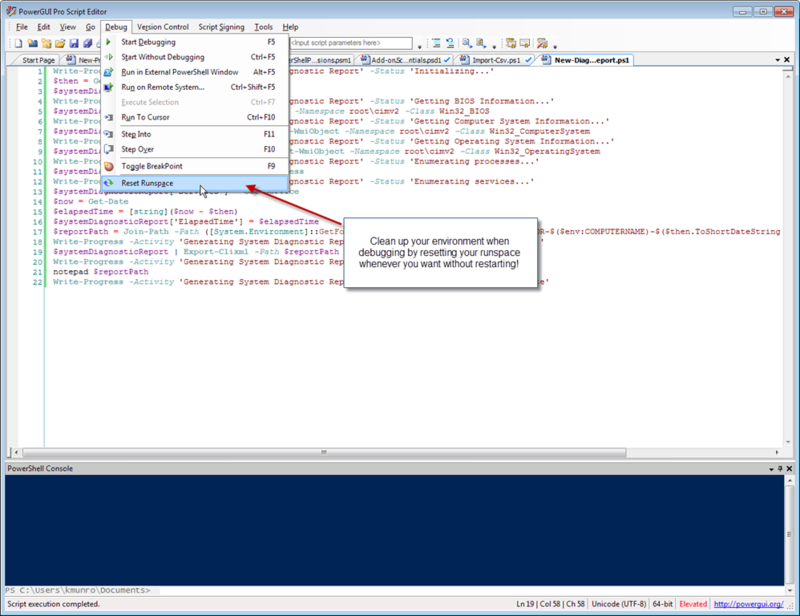 In Script Editor’s File / PowerShell Libraries dialog box, select PowerShellPreferences. Combined, these give you incredible control over the way that PowerShell works – which in turn can help a lot when debugging your PowerShell scripts. The coolest part is that the add-on is loading all the information dynamically – so the cmdlet and alias list will depend on the actual set of snapins and modules you have, and the help information is in your language! 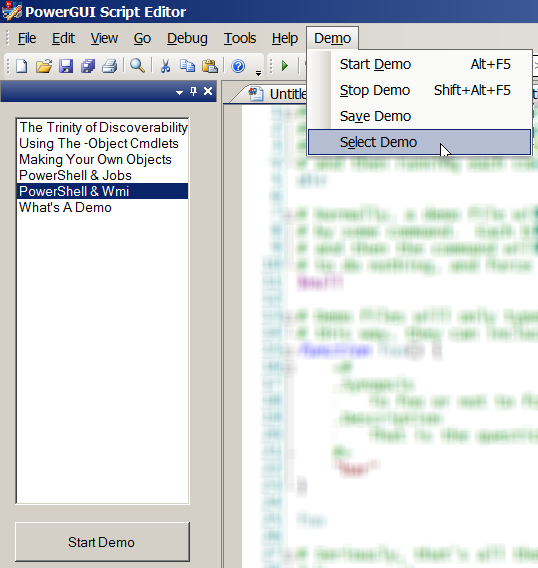 This is basically Jeffrey’s start-demo script + ability to see the demo library right in the PowerGUI Script Editor + the nice reach environment with intellisense and other goodies! Next time you present PowerShell – use James’ demo tool. Download it right away and give it a try. This add-on is participating in the PowerGUI Challenge 2010. Got a great add-on idea? Take part in the contest! If you spend a lot of time scripting, you might have your own preferences on the way your scripting environment displays keywords, cmdlet names, variable and so on. You used to be able to tweak these in PowerGUI Script Editor by manually locating and modifying one of our configuration files. Now there is an easy to use friendly graphical interface provided by Denniver’s add-on. 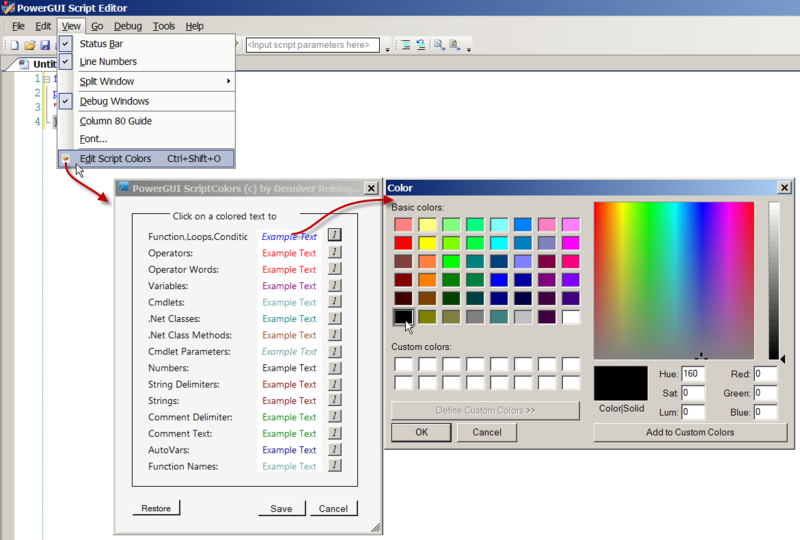 Download Script Color add-on and make PowerGUI Script Editor the PowerShell IDE of your dream! 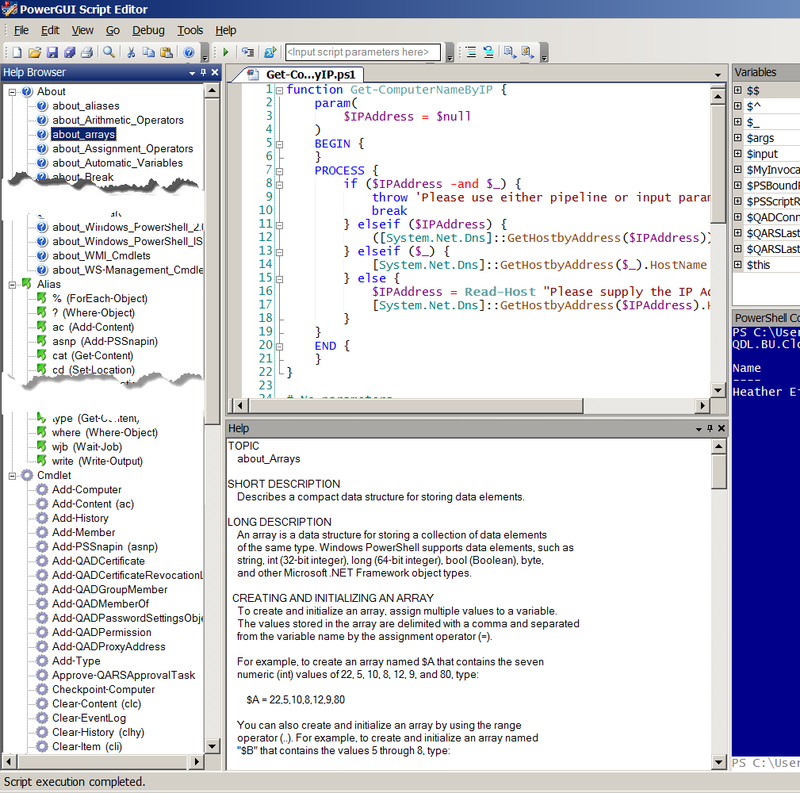 Denniver’s add-on is participating in the PowerGUI Challenge 2010. Got a great add-on idea? Take part in the contest! Getting PowerShell scripts with syntax highlight and line numbers into your blog, Word document or Outlook email is now easier than ever before! Once you download Karl Mitschke‘s Copy to Colorized HTML add-on, extract it to the modules folder and select it in the PowerShell Libraries dialog box, you’ll get Edit / Copy As / Colorized HTML (Ctrl-H) command added to PowerGUI Script Editor menu. Select the script, click the command, then paste the code into your email, document or other rich text control editor such as Live Writer. Note, that this add-on is different from the native Copy As / HTML functionality which puts into clipboard plain text with HTML tags – this you would paste into HTML editing window of your blog, Karl’s add-on output – into a rich text editor. Nice complementary pieces of functionality. Now we got everything covered! Karl’s add-on is participating in the PowerGUI Challenge 2010. Got a great add-on idea? Take part in the contest!